For firmware update of QNAP TS-110, TS-112, TS-119, TS-210, TS-212, TS-219, TS-219P, TS-410, TS-410U, TS-412, TS-412U, TS-419P, TS-419U, TS-419U+, TS-119P+, TS-219P+, TS-419P+ Turbo NAS servers via recovery mode. Note: Please use the ISO file (a) for 1-bay and 2-bay NAS models (TS-110/210/119/219/219P). If you failed to recover the NAS with the file (a), please try to use the ISO file (b). 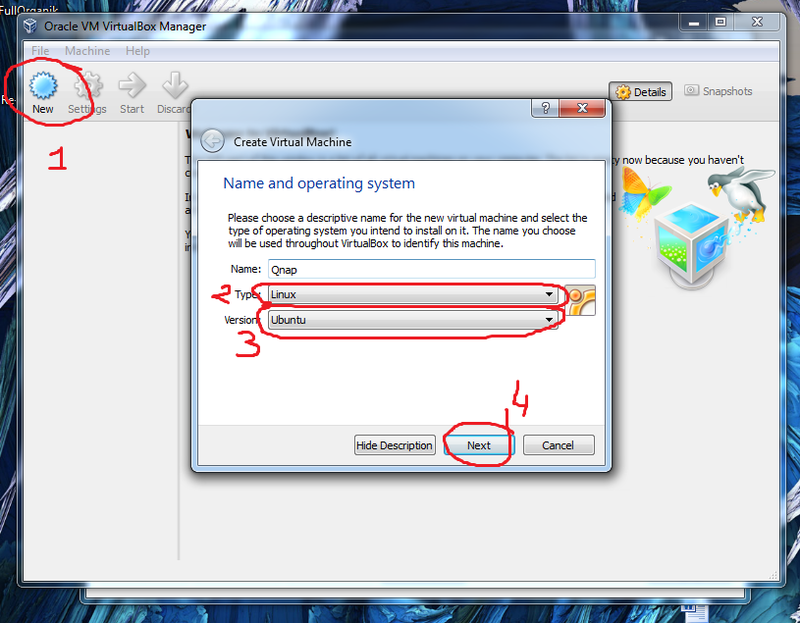 4 – right click to your virtual server -> Settings ->storage. 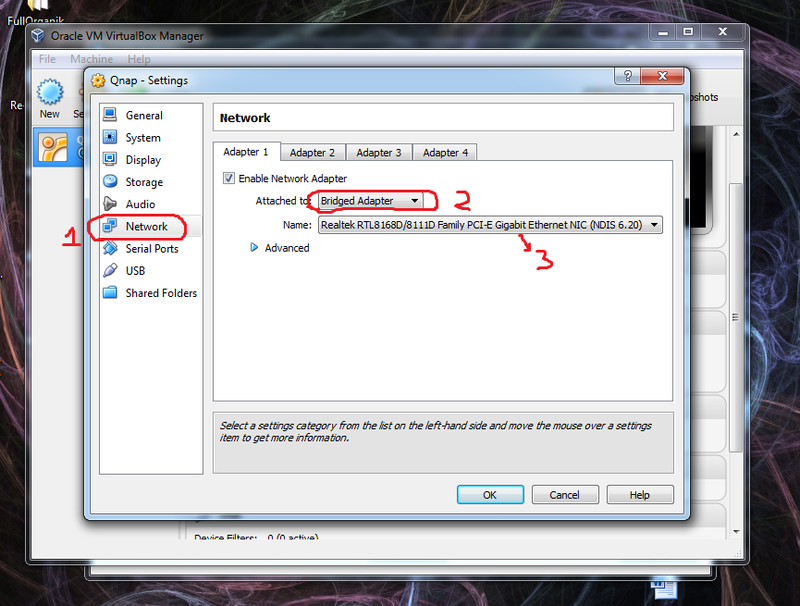 5 – go to Network -> Adapter 1 –and choose Bridge Adaptor. 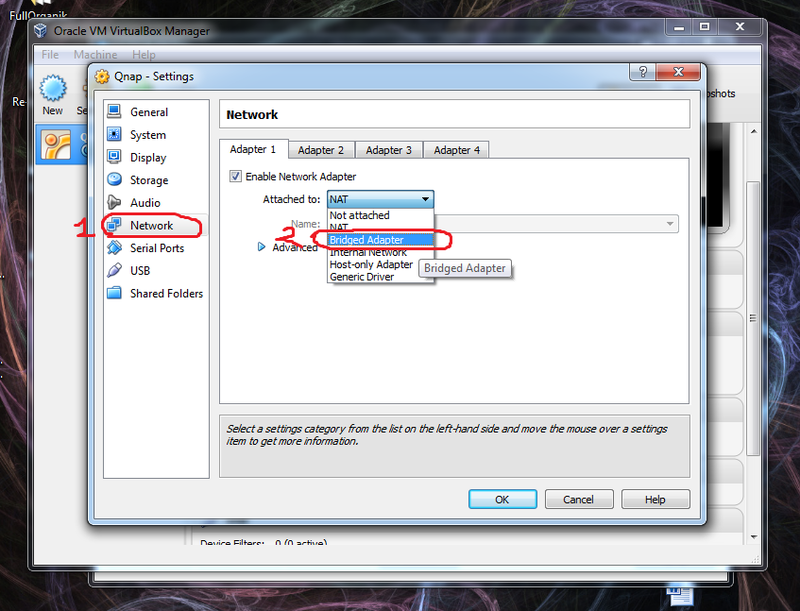 9 – Power off the NAS and remove all hard disks. 11. Find the RESET button of the NAS (see below). 12. Use a pen or any pointed object to press and hold the RESET button. Then press the Power button on the front panel to power on the NAS at the meanwhile. 13. Please keep holding the RESET button around 25 seconds. 14. The LED on the LAN port of the NAS should be flashing for the first few seconds and then glows green or orange. 15. LEAVE THE NAS ALONE AT THIS POINT! DO NOT TURN IT OFF OR UNPLUG THE POWER CORD. Wait for about 5 minutes. 16. Wait until you hear a long beep or two short beeps and see the Status LED flashing green. The NAS will then reboot. No intervention required during this stage. 17. The reboot should take about 3 minutes. After that you should hear a long beep. 18. Connect the NAS to your switch or router and use QNAP Finder to find the NAS. 19. Power off the NAS, plug the HDD(s) back by original order, then power it on. 20. Download the latest firmware from QNAP website(http://www.qnap.com/download.asp), unzip the file, and perform firmware upgrade through QNAP Finder. 21. 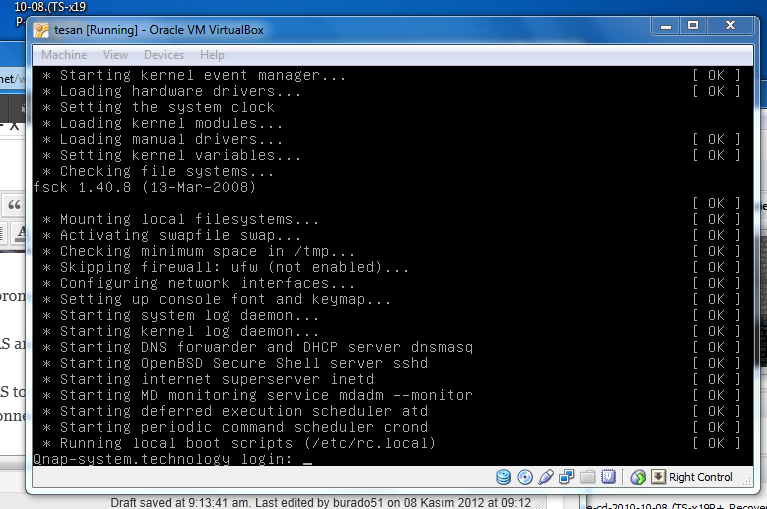 On QNAP Finder, select the NAS, click Tools -> Update Firmware to update the NAS firmware. 4. When the login prompt is shown, go to next step. No login is required. 5. 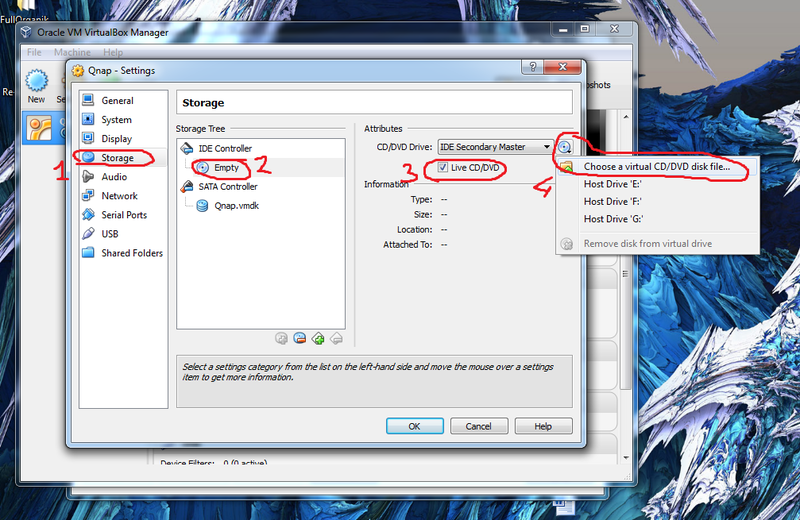 Power off the NAS and remove all hard disks. 23. Download the latest firmware from QNAP website(http://www.qnap.com/download.asp), unzip the file, and perform firmware upgrade through QNAP Finder. NOTE: If the recover progress does not work at the first time, please try another PC and make sure all other network connections are disabled. In my case, non of the recovery methods worked. i had a broken firmware because of an failed update. in my case this worked: when you unscrew the green circuit board, theres a battery on the backside. take it out, pull the powercable and wait a few minutes. after that, put the battery back in, boot up the qnap holding reset button pushed until it beeps twice, take qfinder, connect an harddisk (sorry, data lost) an run the config assistant including firmware update. 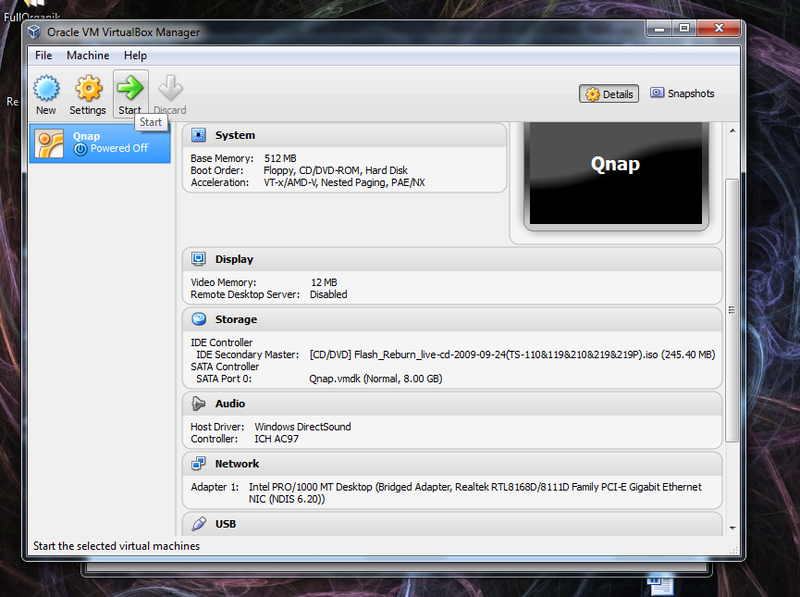 Okey, I try unplugging battery combinations and sorry, now way to fix Qnap firmware that way. Or, please contact with your local Qnap support team, we can easly identify & solve this kind of problems around 15 minutes without data lost. Is there an .iso for TS212? I’ve tried downloading from http://wiki.qnap.com/wiki/Firmware_Recovery, but Ubuntu fails to boot both as LiveCD and in VMware Player. This was helpful to reset my QNAP TS-210 after some strange behavior – it showd up in Qnap-Finder only for a few seconds. 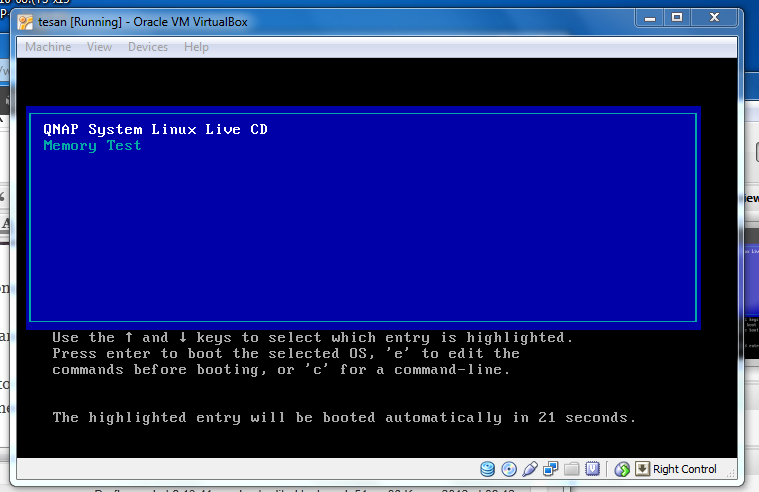 I used Vrtlbox and image b) (as it did not work using a) to reset. Nevertheless I had to reinitialize the harddisks in the end as well, as it could not be seen in step 20 with the previously used HDD. After reformatting (i.e. data lost – but did backup before) everything worked well. So back your data up, before starting the process….